« “Continuity” the commission is done and delivered! 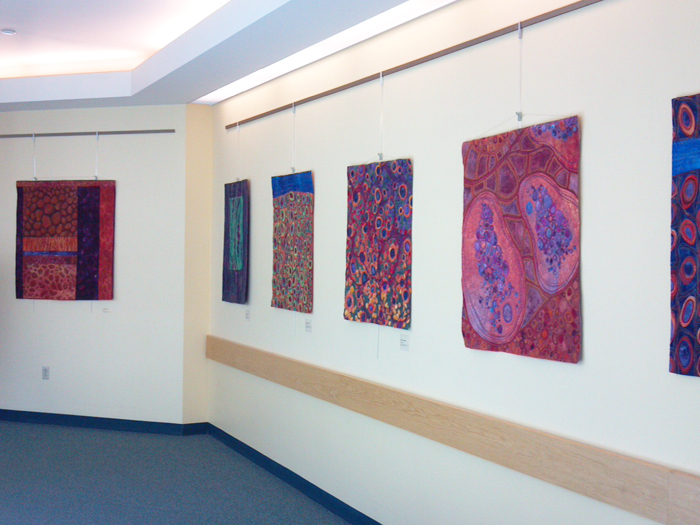 My solo show on the fifth floor rotunda Dartmouth Hitchcock Medical Center in Hanover, NH is up! It’s strange to realize but I’ve never seen so many of my pieces hung together and in such a beautifully lit space. 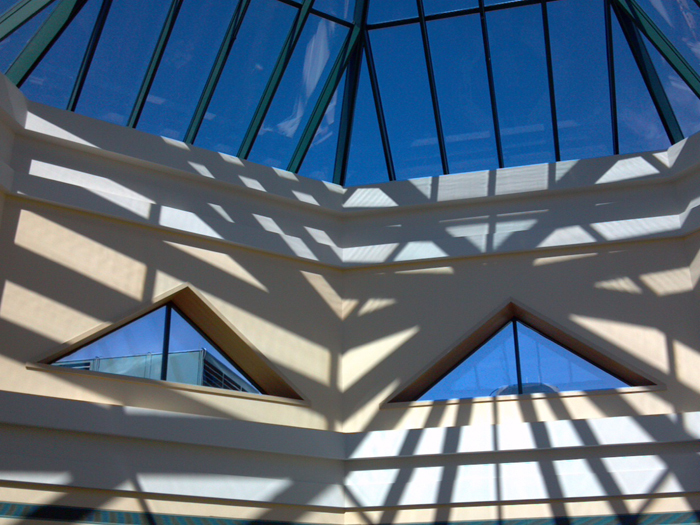 It’s a stunning exhibit space overlooking the main lobby two floors down. 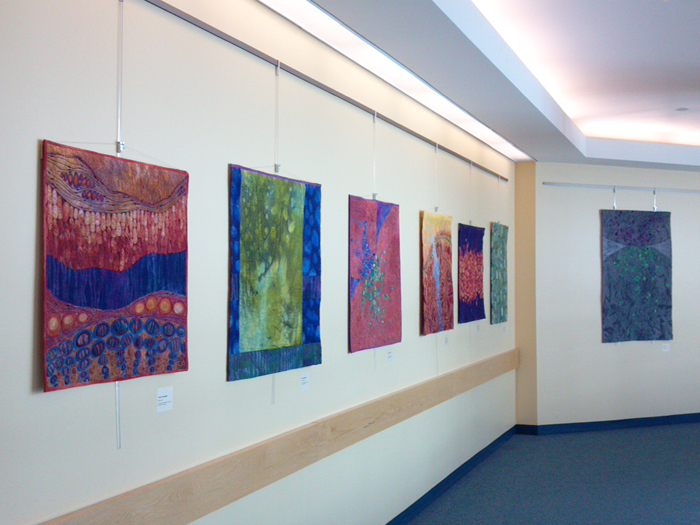 DHMC has an arts program with a dedicated director who rotates the artwork in numerous spaces every three months. This goes a long way to reducing any clinical feel to the center. What a wonderful use for art! My special thanks to my friend, Kris McDermet who tirelessly helped with the hanging and the gelato eating afterwards. The exhibit will be up through November. This entry was posted on September 26, 2012 at 9:13 am and is filed under Exhibits. You can follow any responses to this entry through the RSS 2.0 feed. You can leave a response, or trackback from your own site. Congratulations. The exhibition looks awesome. We are going to try to get over there soon to see it! May be able to grab Jenn Maxwell on the way–an HES moment! That’s wonderful, Barb! Let me know what you think. Geoff had to remind me that little Jennie Boehme is Jenn Maxwell. I feel soooo old sometimes! 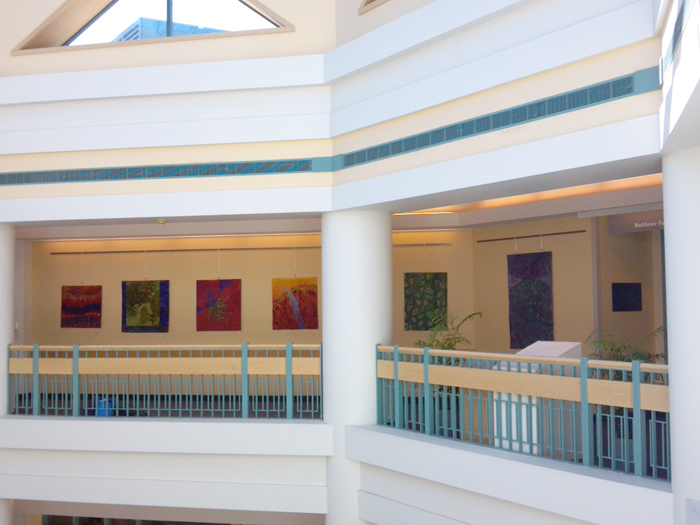 I work at DHMC and I have been sending everyone I know upstairs to the 5th floor to see your work. It is so beautiful. Thank you!